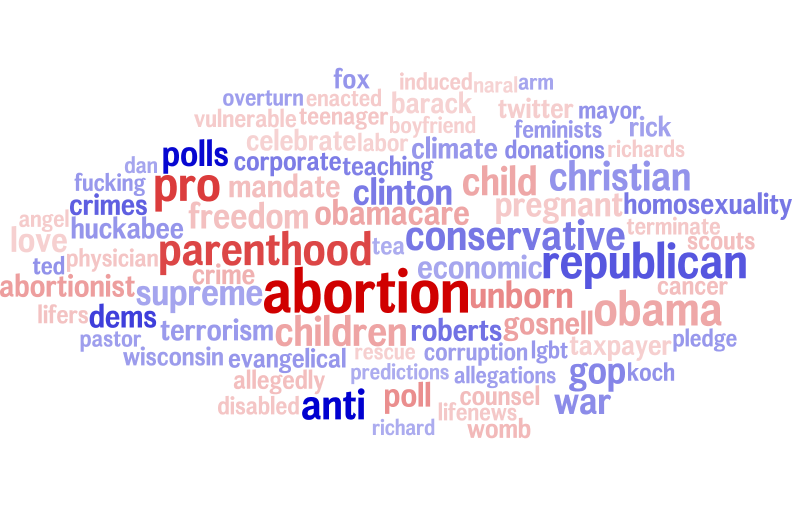 Word usage in partisan news stories about ‘Abortion’. Darker red indicates more conservative, darker blue indicates more liberal. Larger size indicates higher word frequency (log-scaled).